Have you ever wished that you could cram just a few more movies, songs, or other files onto your device? Well, now is your chance – Amazon is currently offering SanDisk's Class 4 32GB microSD card for just $22.89, a ~$68 drop from its list price (and perhaps its cheapest price to date). This deal is even better than the one we saw on a comparable Transcend microSD card last month, especially when taking into account the considerable (and well-deserved clout) SanDisk's brand carries. 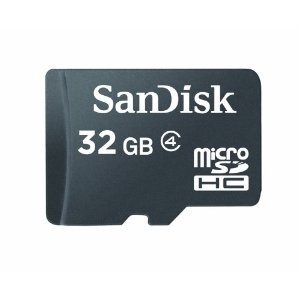 There's no question this is a fantastic deal on a class 4 microSD card of this capacity. Those interested in picking up some extra storage for their device at what is probably the cheapest price we'll see for a while should head over to Amazon's listing here.